A brief look at Dublin’s WWII air raid shelters. | Come Here To Me! A brief look at Dublin’s WWII air raid shelters. 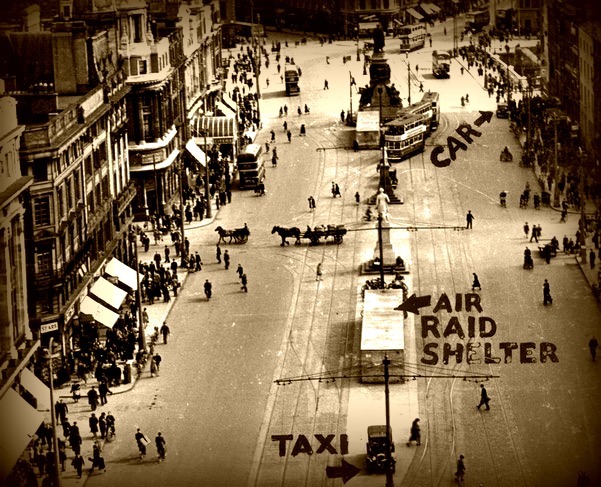 Image taken from the Nelson Pillar showing an air raid shelter on O’Connell Street during WWII. 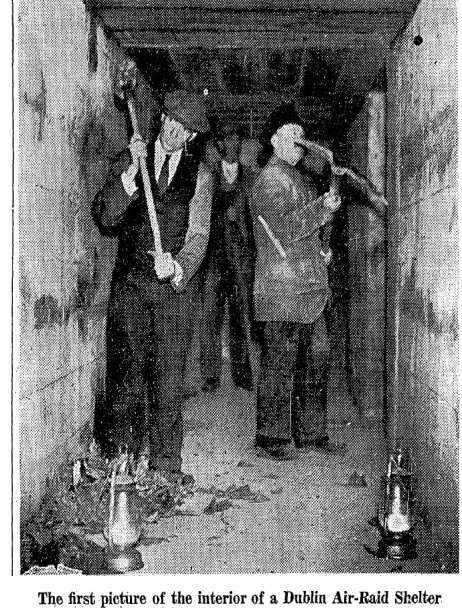 While there was no World War II in Ireland (don’t you just love the term ‘The Emergency’), there were many air raid shelters constructed in the Irish capital during the years of that conflict. The above image, showing an overground shelter, was taken from the top of the Nelson Pillar. At the moment trench shelters have accommodation for 6,500 people, and they are situated at Fitzwilliam Square, the Custom House, Merrion Square, Oscar Square, St. Patrick’s Park Spitalfields, Pimlico and Ordmond Square. The overground shelters, which are situated in the principal streets and in the vicinity of tenements, will give accommodation to some eight thousand people. 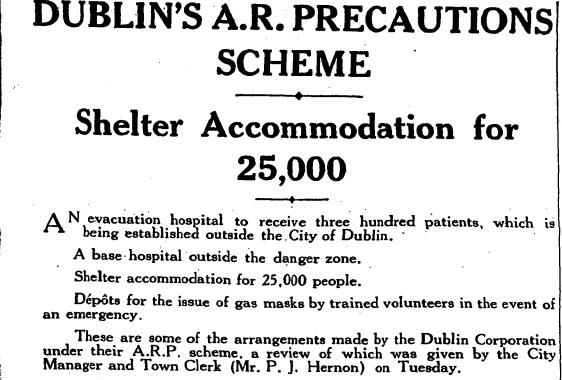 The Irish Times of 11 November 1939 details Dublin’s planned precautions. 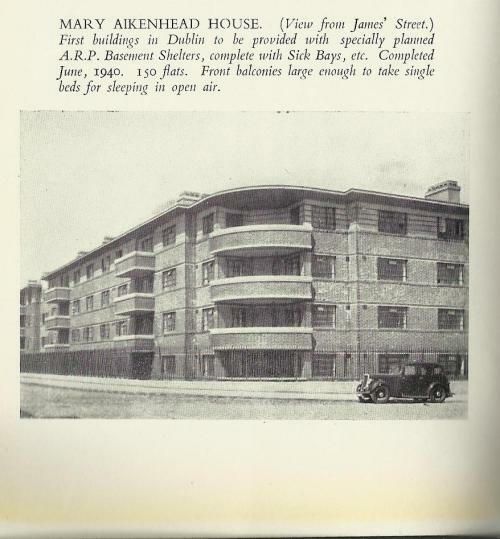 Air raid shelters were incorporated into some housing plans in the city, for example Mary Aikenhead House, which were completed in April 1940. The buildings were also noted to include “front balconies large enough to take single beds for sleeping in open air”, perhaps as a means of combating tuberculosis outbreaks. 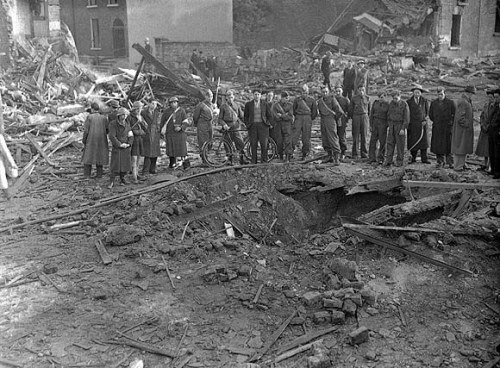 Though the Republic was neutral in the Second World War, bombs did fall on the Irish capital, killing innocent civilians. In January 1941 bombs fell on the Terenure and South Circular Road areas of the city, while there was tragedy in May 1941 when 28 people were killed by bombs dropped by fascist Germany that inflicted carnage on the North Strand area. Outside of the capital, bombs fell on Campile in Wexford in August 1940, killing three people. The North Strand following a German bombing. Many people are ready to criticise the construction of air raid shelters. If we were to have an air raid here, it would probably take place in the big centres, and, regardless of what anybody may say to the contrary, I believe that people living in the farthest corner of Ireland are quite prepared to do their part and to take their share of the expense to defend the citizens of Ireland in any part of the country in which we may be attacked. I think the Minister is perfectly justified in the steps he is taking to defend the people. There are shelters below us even today in Dublin. Thejournal.ie have looked at one on Grafton Street in detail in their Hidden Ireland series, noting that a company “was given a grant of £234 for the building and design of the air raid shelter to protect the 50 employees working at 69 Grafton Street. The shelter was completed on 24 September 1940.” This premises is now occupied by a clothing store, and I’ve often wandered past with no clue of the shelter being there. on May 22, 2014 at 8:36 am | Reply Dublin’s Historic Breweries: Watkins’ of Ardee Street | Come here to me! There was on under Heuston Station as well. Unfortunately none of these shelters are recorded or protected archaeologically despite their relative rarity. The unique beehive shelters made in Ireland during The Emergency (and tested personally by Frank Aiken) are being constantly destroyed and are now as rare as hen’s teeth. They were originally placed outside public buildings. A couple were I believe recently destroyed in DLR County Council as they were deemed to have no merit. We have a lot to learn from the UK when it comes to valuing our 20th century archaeological heritage- We are losing huge amounts our built history due to a view that only medieval or prehistoric is important. There is a public air-raid shelter still extant at Elizabeth Fort on Barrack Street in Cork City. Three of the walls are old walls of the fort, while one wall and the roof were purpose built for the air-raid shelter. As a young child,I can remember Airraid Shelters in Gray St. and Reginald St. There were two either side of the Statue,eight in all.